encompasses representatives of both the most important theoretical approaches to welfare and the very latest comparative empirical research. The final section marks out the terrain on which the next battles for welfare will be fought.Throughout the emphasis is upon welfare debates. The extraordinary range of contrasting opinions and judgements in the volume demonstrate why welfare is such a crucial and contested topic. 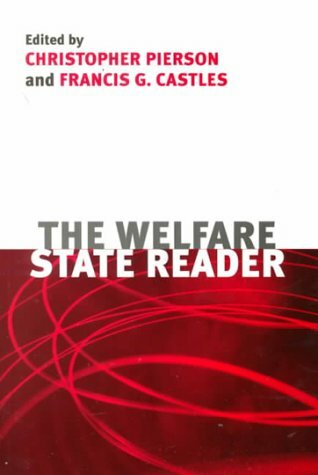 Selected and edited by two internationally-respected researchers and teachers in the field, The Welfare State Reader is the essential guide to the debate.This book will be of interest to first year undergraduate students and above in social policy and social administration, politics and political theory, sociology and economics. A European Welfare State?Towards a European Welfare State? Is the European Social Model Fragmenting?